Home Tips Point. 10 Rules Of A Great Conversationalist. Conversationalist is the person who communicates with others on different topics which will give a proper conclusion to the talk. For the success of every conversation, you need to follow certain rules which are as follows. Strive to know about him/her through the conversation. Because if you do this the person involved in the conversation will understand that you are in real sense interested in that person eventually in the talk as well. Opt for positive and meaningful topics over negative ones. Because one negative thought in a conversationalist mind can ruin the entire discussion. Remember one thing conversation is very different than debate so where there are differences agree or disagree but not to argue. Respect others space and right to their views and try to welcome their thoughts and respect their feelings. 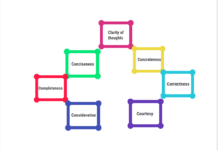 While building on commonalities try to understand that the nature of each person is different and there are very less chance to get common qualities in two persons. Never hesitate to share your own thoughts as only you know what your talking is genuine and true. While discussing don’t dominate the discussion. At the same time don’t ever hold back your thoughts from sharing. What drives you in life? What are your current goals? Such type of meaningful questions always tries to get meaningful answers by focusing on the positive side. Don’t be too critical of what others say/ do, always give others the chance to clarify their doubts and even you should understand what they say in a clear way.